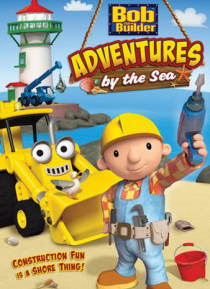 Bob the Builder(TM) and his machine team "sea" lots of new ways to work together to get jobs done in and around Fixham Harbor in five exciting stories. Scoop must make a creative seaside rescue to get the lighthouse lens shining again! Scratch realizes that admitting mistakes is the best way to be cool; the team comes to the rescue when Muck's sandcastle compromises their big job and shows him tha… t being part of a team means doing things together.